October is a busy month in San Diego, and if you're local to the area, it can be hard to figure out where to spend your weekdays and weekends. Being an #Entertainment blog, the AE team has compiled a comprehensive list of #ThingsToDo for you and your loved ones. 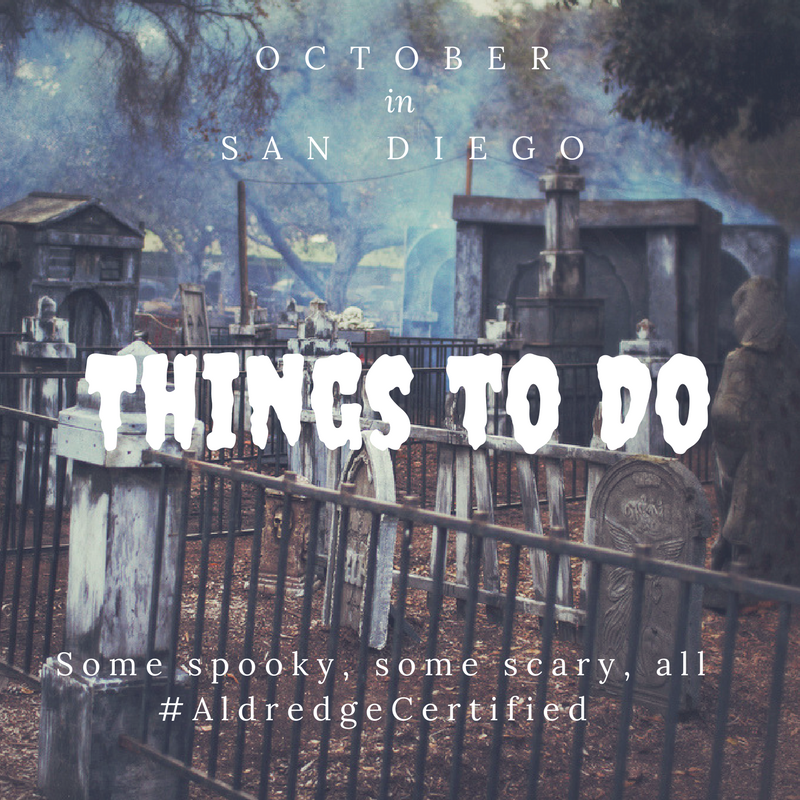 Some spooky, some scary, all #AldredgeCertified. You've been warned. "Little Shop of Horrors is a sci-fi spoof musical with a hilarious and fearsome plot and a collection of great songs – Oh! And lots of foliage!" "A delightful world premiere musical based on the beloved offbeat ’90s romantic comedy movie. As Joon’s sole caretaker, auto mechanic Benny makes sure his eccentric sister lives a comfortable, safe, and predictable life. But when Sam shows up, his off-kilter take on the world—full of classic films, Buster Keaton, and an oddball approach to domestic life—turns everything upside down. Benny & Joon explores what happens when we step out of our comfort zones and take a leap toward love." Festival passes and screening tickets available to the public. Visit events page for more info. "The San Diego International Film Festival is our region’s premier film event and one of the leading stops on the independent festival circuit. SDiFF offers a totally unique film experience; including world premieres, never before seen studio releases, the best in independent filmmaking and a full schedule of glamorous parties and intimate events with filmmakers. Join us Downtown at the Balboa Theater for opening night, Regal Cinema and the ArcLight La Jolla for screenings and featuring the beautiful Pendry San Diego as our Festival Headquarters." "It's that time of the year again! Dust off your lederhosen, grab your favorite stein and meet us at the beach for the wildest Oktoberfest in San Diego!" "Watch traditional folk dancing performances, compete in our numerous games and contests, check out vendor and craft booths, and treat your kids to their own Kids’ Zone. Bring your family and friends to El Cajon and experience a real German Oktoberfest!" "Featuring the works of over 150 established artists from San Diego, Los Angeles, Orange County, Baja and beyond, the LJAWF features something for everyone including a silent auction, roving entertainment, a gourmet marketplace, the family art center and a wine and beer garden which will include premier wineries in addition to San Diego’s top breweries." "We all float in Hillcrest.. and when you're down here with us, you'll float too!" Check out AE's rolling events page for this list and more! Be sure to subscribe so you, too, can be an Industry Insider.